Details have been circulated to club presidents and foundation chairs. The cost will be £22.50 and includes a three course dinner. There will be speakers on various aspects of Foundation and an opportunity to meet members of the District Foundation Committee. 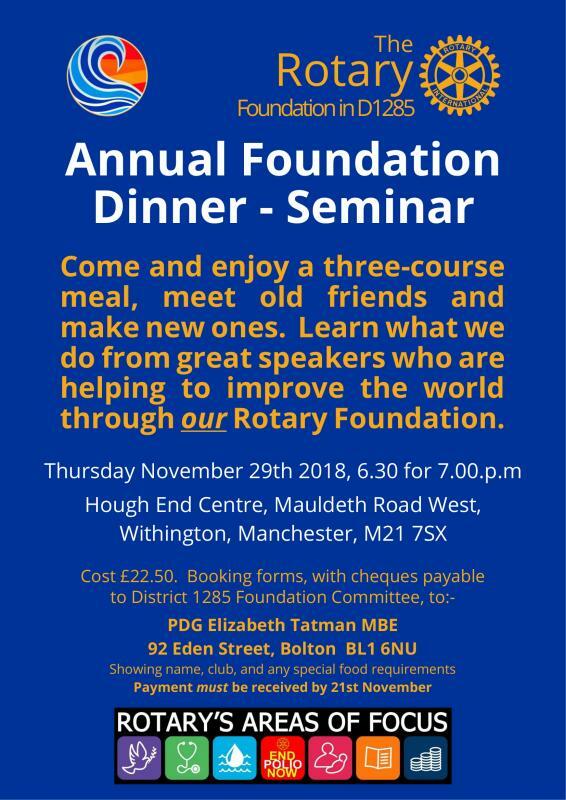 Please send details with payment ) cheques made payable to District 1285 Foundation Committee) to PDG Dr Elizabeth Tatman MBE, (address in district directory) no later than November 21st 2018 .